SEATTLE — With the season almost coming to an end, each win becomes more and more important as teams fight for playoff positioning. Facing the Mariners, who are hoping to snag a Wild Card spot, the Yankees once again came out on top, completing a thrilling 4-2 win at Safeco Field. 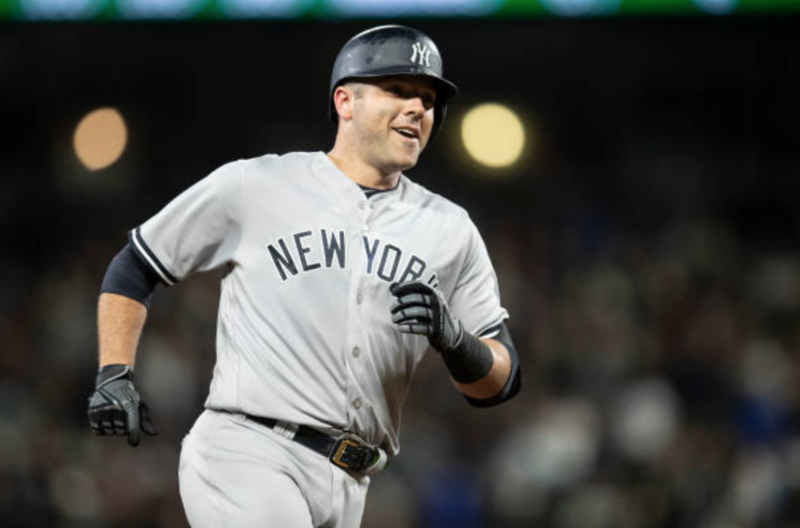 Tonight, the big hit came from Austin Romine, whose seventh-inning home run proved to be the go-ahead blast in this Yankee victory. It was his tenth blast of the season, a new career-high. Gleyber Torres, who had two hits in the ballgame, added some insurance in the ninth with a sacrifice fly. Today’s starter Lance Lynn also bounced back from a couple of shaky outings, giving his team six strong innings. He allowed just two runs on three hits. The Yankees immediately jumped on the Mariners in today’s game, as Andrew McCutchen‘s hit a leadoff home run, off of Felix Hernandez, to put New York on top. It was the outfielder’s second homer in as many days. While Mike Zunino tied it with a solo shot in the third, Giancarlo Stanton‘s sac fly in the fifth put the Bombers back on top. Though Seattle tied it once again, Romine’s blast in the seventh was enough to get Next York the victory. Dellin Betances was summoned in the ninth to close out the ball game. While he made it interesting, loading up the bases with just an out, the tall righty struckout both Denard Span and Kyle Seager to earn his third save of the season. After another Boston loss, New York is now just 7.5 games back for the AL East title. The Yankees go for the sweep tomorrow, with CC Sabathia facing off with Erasmo Ramirez.